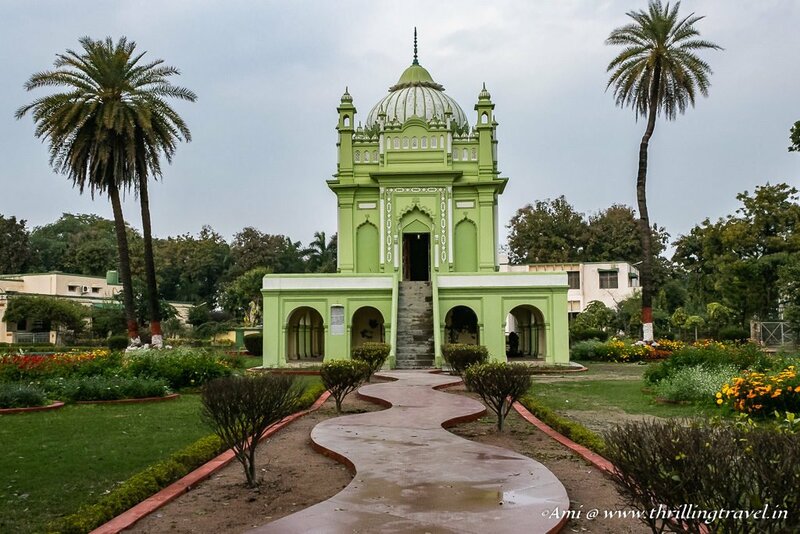 While the Bara Imambara, the Residency and Chota Imambara is there on almost every visitor’s list of attractions in Lucknow, it is time to add a few offbeat places to this list. Last week I shared my heritage walk of Kaiserbagh which I am sure you have already included to your itinerary. This week, you need to add La Martiniere College of Lucknow. You might be wondering why would you add an educational institute. The answer lies in the fact that it was not always a school. It was actually a luxurious mansion owned by a French officer. 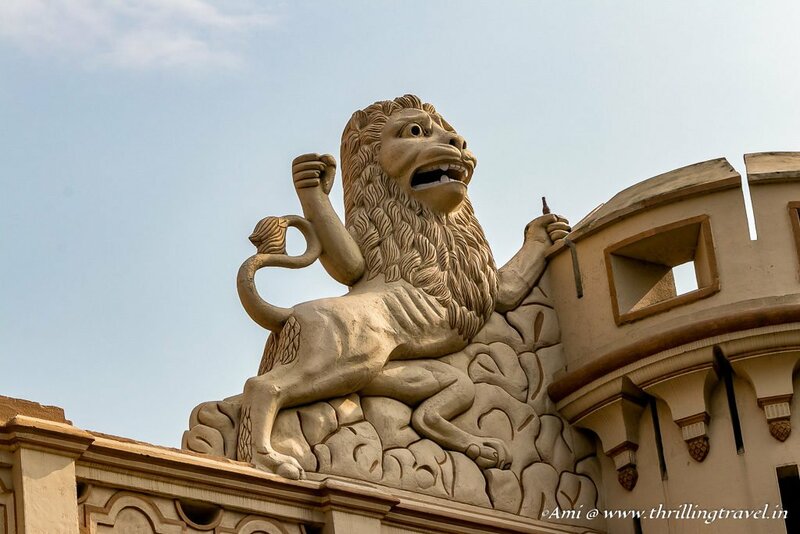 The sprawling home is also, considered as the largest European Funerary in India. 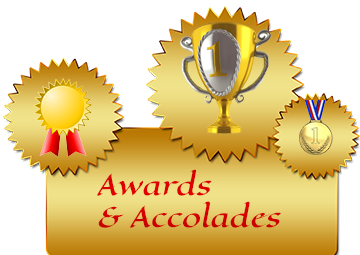 And to add some more intrigue to this place – it is the only school ever to win the Royal Battle Honors. If that has made your eyebrows vanish into your hair, then you are ready for this epic post on this offbeat Lucknow attraction! 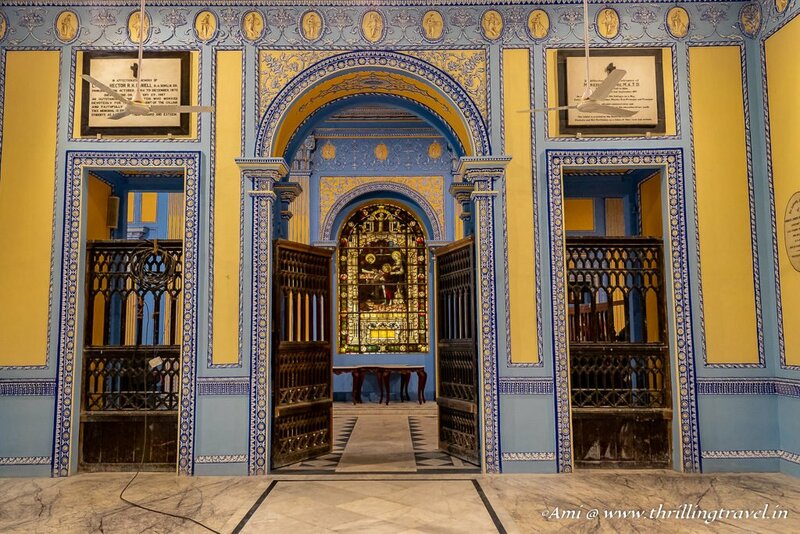 “What is La Martiniere? A home? A School? Or a Battle House? “ I would not be surprised if you are asking this after reading the first few paragraphs. Let me demystify this for you with its history. 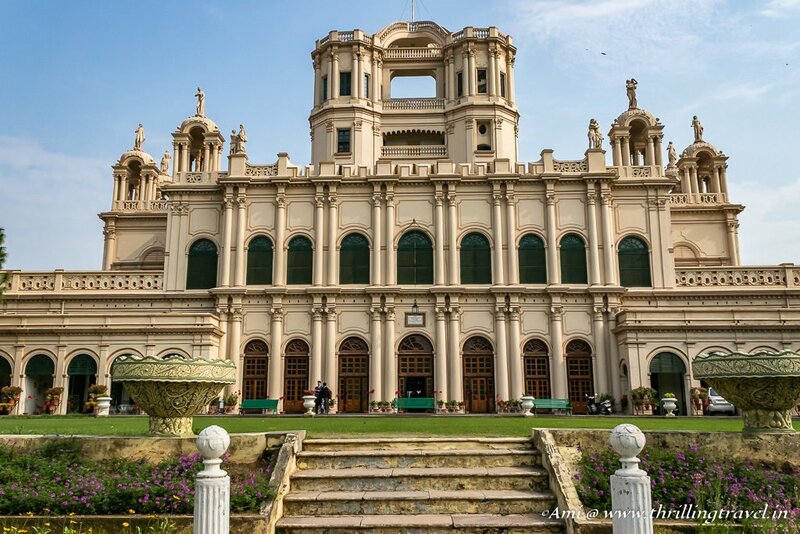 La Martiniere was built by a French man – Major General Claude Martin. This French gentleman came to India along with the French company in Pondicherry. He fell out of service owing to a tyrannical head and joined the British East India Company. 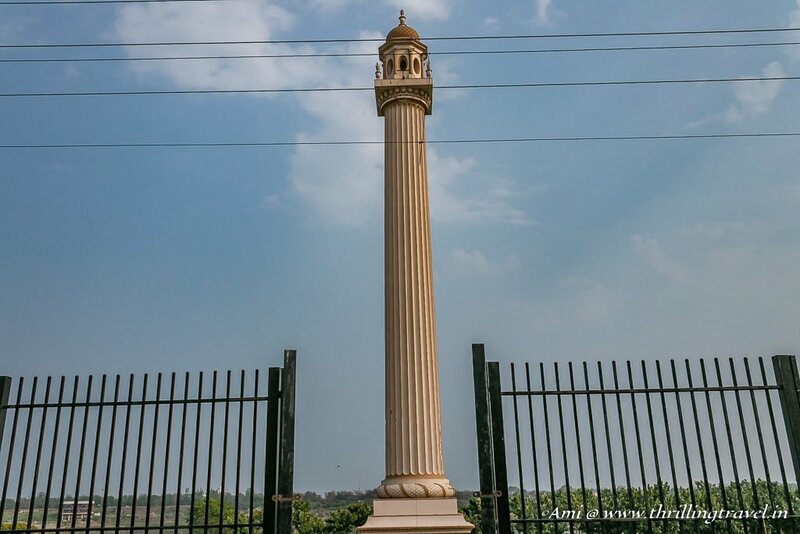 He was posted in Lucknow during the reign of Nawab Asaf-ud-Daullah of the Bara Imambara fame. He earned a lot of wealth while serving the Nawab – so much that he became the richest Frenchman in India. With his wealth, he created this palatial home called Constantia. All his properties in India (in Kolkata and Lucknow) and in Lyon (his hometown in France) were to be converted to schools for children. The schools would be named La Martiniere. His house should also, accommodate centers for boys who were keen on learning the English language and the religion – Christianity. Eventually, after a few contests in the court, all his properties became the La Martiniere School. In Lucknow, it was primarily the Boys school which opened in the year 1845 with John Newmarch as the first principal. Thus, the mansion became a school. During the famous siege of 1857, the school students were drafted to the British quarters – The Residency. The students helped the British with various chores like becoming messengers, taking care of the sick and injured and even gathering food. 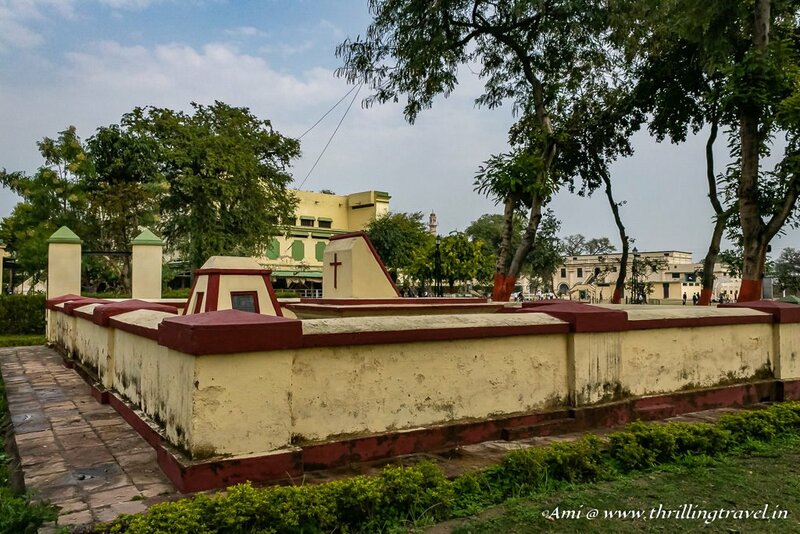 After the siege, for sometime, the school was shifted to Benaras. The campus was restored and the school was back by 1859. 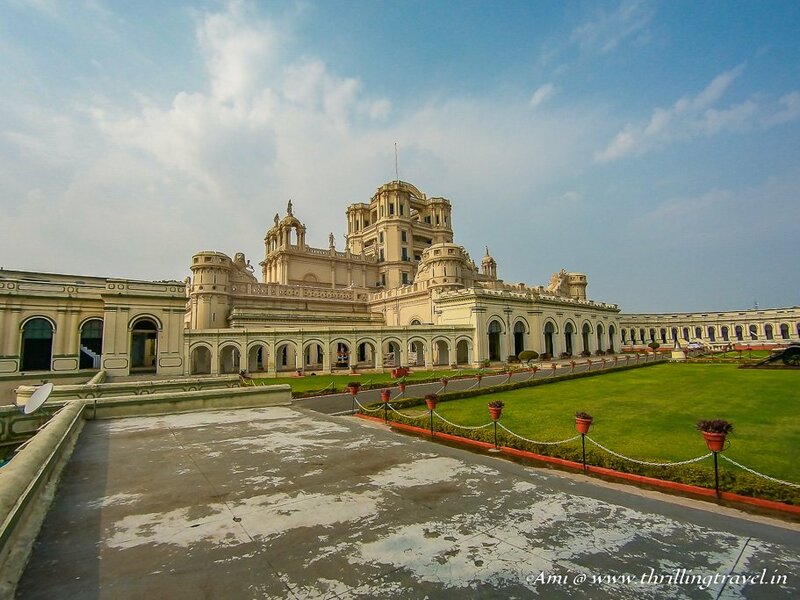 A complete residential set-up of the British East India Company in Lucknow, The Residency had everything set withing – from beautiful ball rooms to a hospital and more. Unfortunately, the Revolt of 1857 just left the walls to share its story. 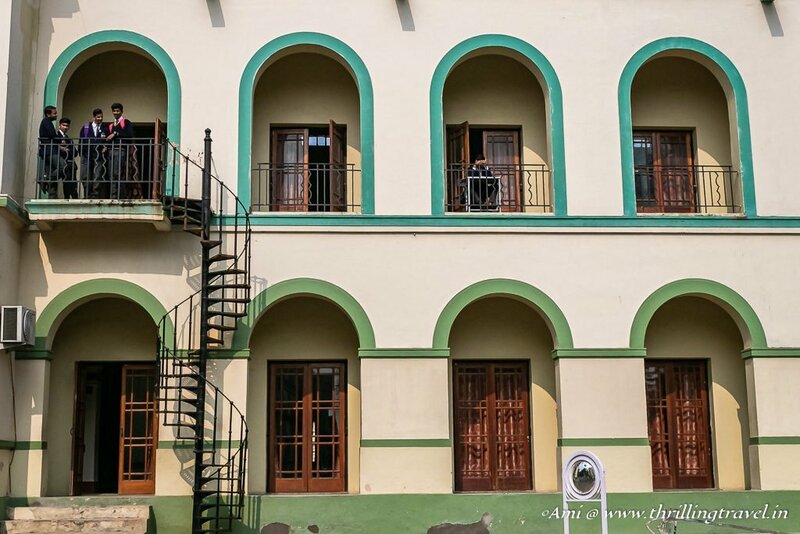 In 1869, the La Martiniere Girls School was established which later, moved to a different campus. While the entire educational establishment kept growing, their contribution to the siege of 1857 became widely recognized. Not only were the students given a medal of honor for their service for the Defence of Lucknow, but La Martiniere was also given a right to display a British regiment flag with its coat of honors and a picture of The Residency. This is how a mansion, turned into a school – one that is exclusive owing its Royal Battle Honors. It seemed liked a pretty normal high-class school from the gate. Kids playing football, a few rushing around looking all important. teaching staff keeping a stern eye out for truants and massive buildings around the open grounds. However, a few steps towards those buildings changed it all. A beautiful green tomb stared back at me. 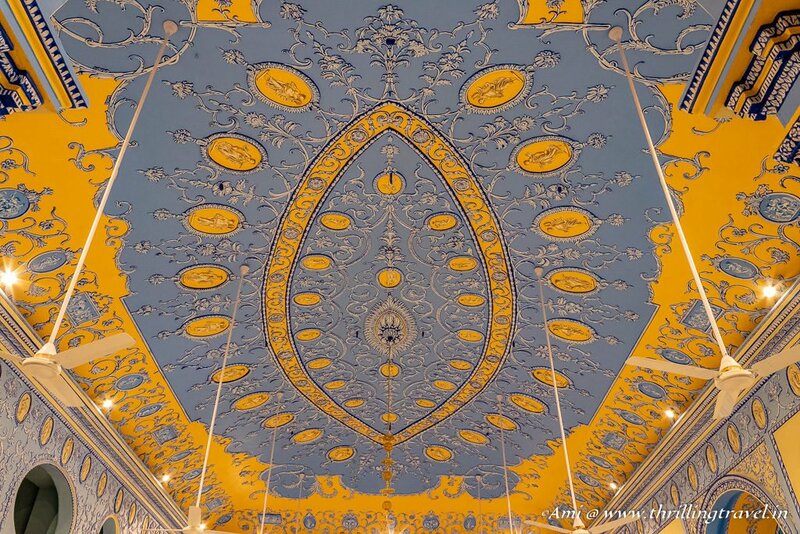 The Islamic architecture was pretty evident even before I read the plaque. In fact, if truth be told, I was confused as to why there was one in an evidently Christian campus. That is where the plaque came to my rescue. There wasn’t much within the tomb to see but if you know me, I had to satisfy myself with a quick walk around. With that done, I continued on to see one more grave – albeit – this was a British one belonging to a Major William Hudson who died in the year 1858. He was the one responsible for killing Bahadur Shah Zafar in New Delhi along with his family. Jean Claude’s will definitely did not include him as a part of his bequeathed space. My guess is that since he was stationed here during the 1857 revolt, he was buried in the campus. As I understand, there were more of such tombs a little away from my chosen path. 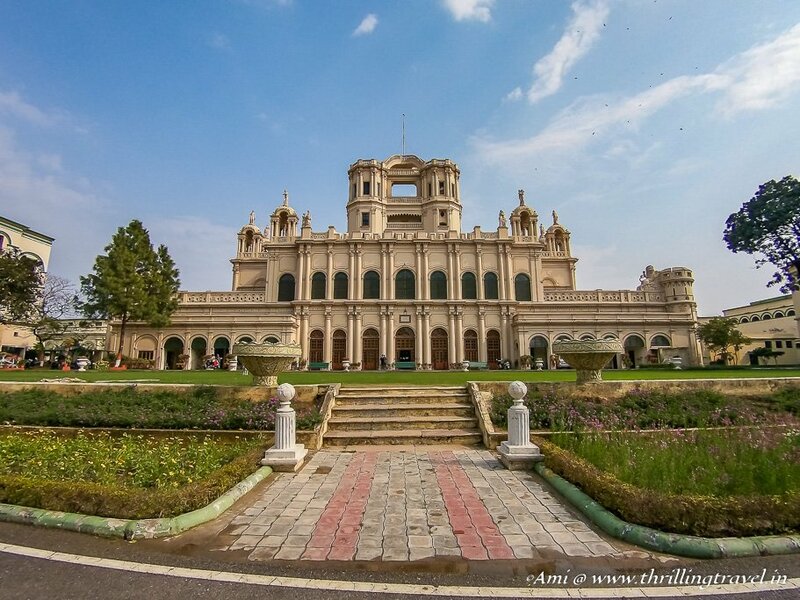 Given the constraint of time, I chose to move ahead to the main building of La Martiniere. 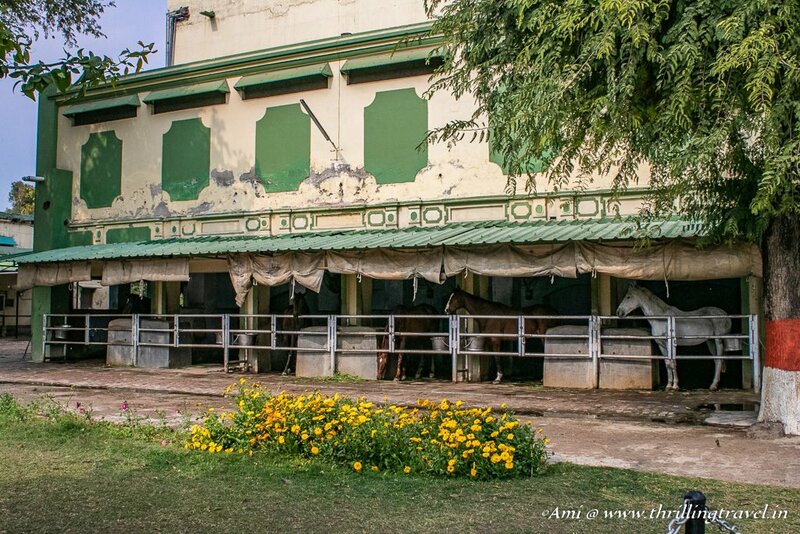 It was evident that the School had a rich and elegant culture which included rare activities like Horse Riding. Passing by the horse stables, I also, got a glimpse of a unique car that seemed to have all the house emblems painted on them. Curious student onlookers pretended to not notice me as I quickly snapped a picture of their pretty classrooms around a quaint spiral staircase. Not wanting to disturb the regular schedule, I made my way to a large park that caused my jaws to drop! One glimpse at what stood erect in those perfectly manicured lawns transported me to Europe – specifically, Vatican Museum. Somewhere in that I even felt as if I were in Mauritius in front of the Chateau Labourdonnais – possibly owing to the sprawling lawns. 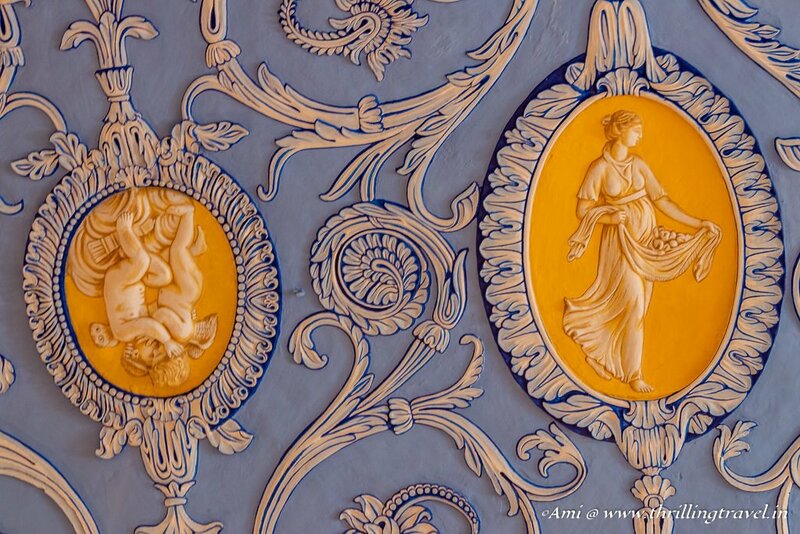 The grandeur of this French Mansion – the Constantia – was just mesmerizing. An estate house set up by the French Sugar Lords in Mauritius, this one has a unique botanical garden attached to it. Made in the 1770s, there is so much history that you can still see. 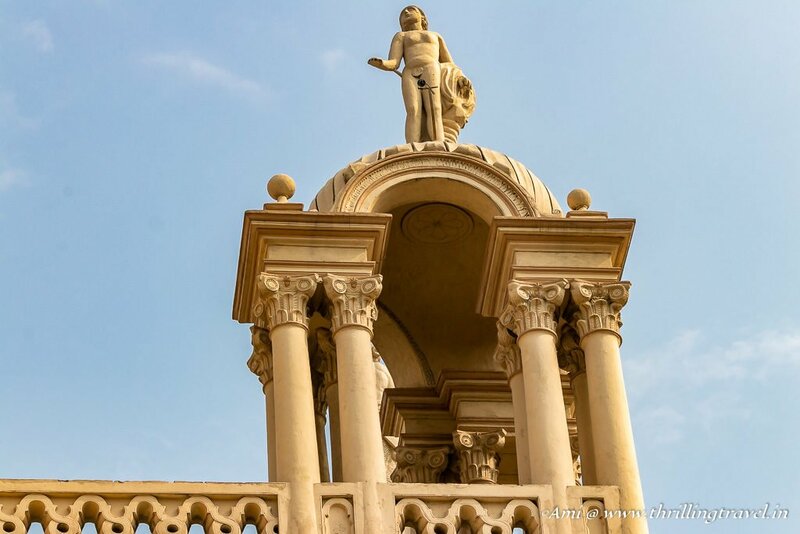 The key feature of this Gothic colonial structure were the Greek statues atop its terrace. The figurines were the reason why my mind went back to Vatican. The style in which they were erected reminded me of St. Peter’s Basilica where the Roman Gods rose high up into the sky. Each statue represented a particular Greek idol – all of which was documented and explained in pictures. For example, this one is that of Niobe – the mother who boasted to Leto about her fertility. 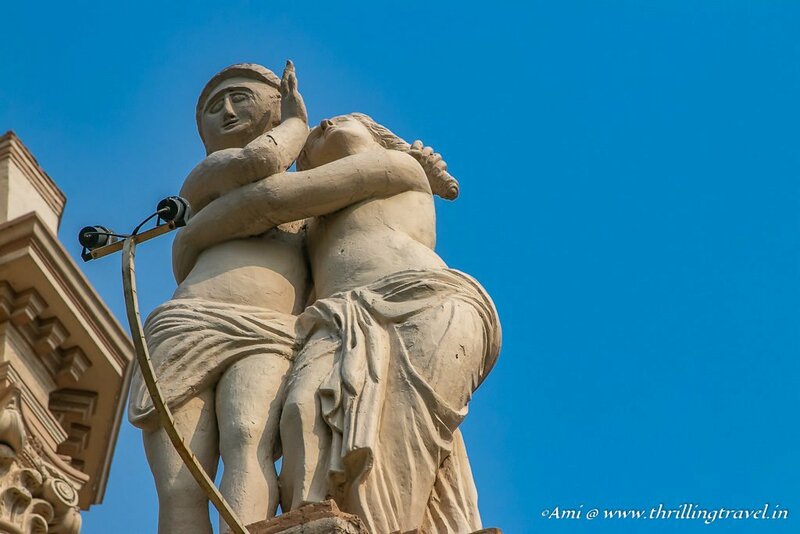 As a punishment for this, all her sons and daughters were killed by Leto‘s twins – Apollo and Artemis. The statue here is that of her grieving her loss – a lesson to mortals who compare themselves to God. 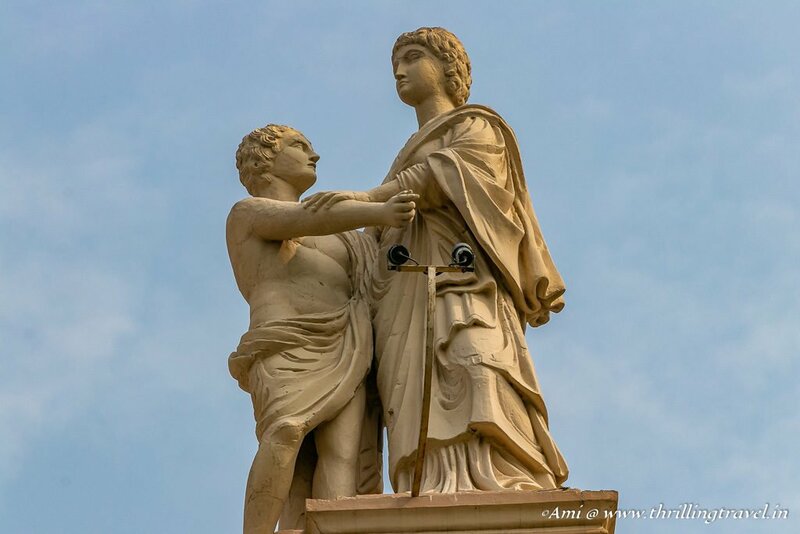 Honestly, I could not get over these Greek statues. I had to force myself to move my eyes away to the rest of the structure. This is when I noticed the tall colonial pillars and the arched glass windows. The open doors beckoned me to explore within and that is exactly, what I did. A reception hall that reminded me of scenes from the Pride and Prejudice welcomed me to the folds of the Constantia. 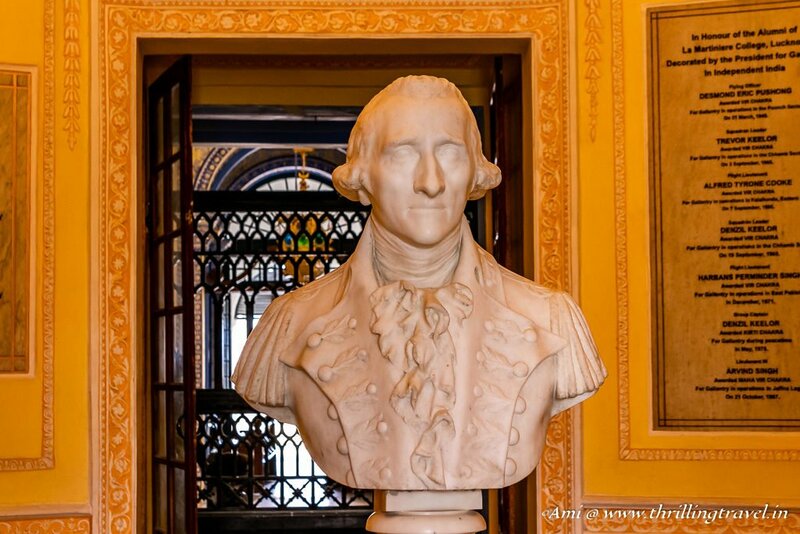 A sculpture of its founder – Claude Martin stood right in the center of a high-ceiling round room. 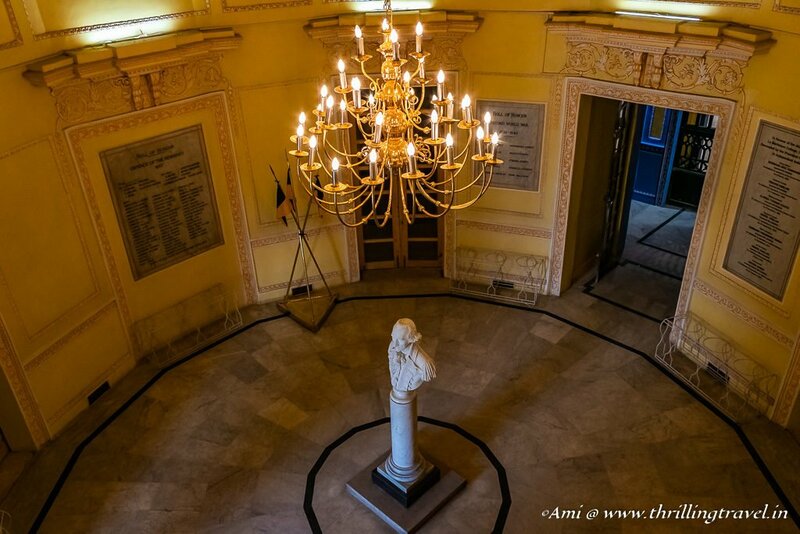 Hanging on the walls were placards with names of the La Martiniere Alumini who served during the 2nd World War. Through its many doors, a spiral staircase took me to a closed terrace. My guess is that was the way to get to those Greek statues. 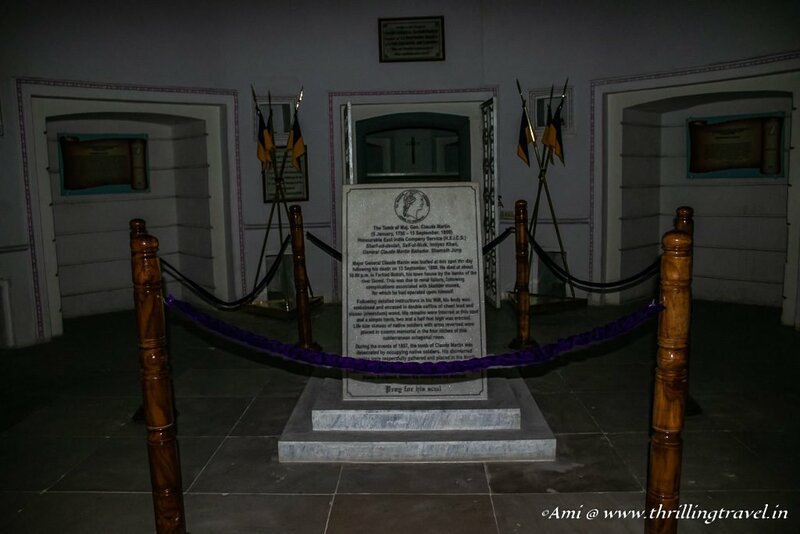 The same staircase took me down to a basement where the grave of the founder Major General was kept. A signboard told me that the Major General had died in 1800 at the Farhad Baksh Kothi in Lucknow, following renal failure. 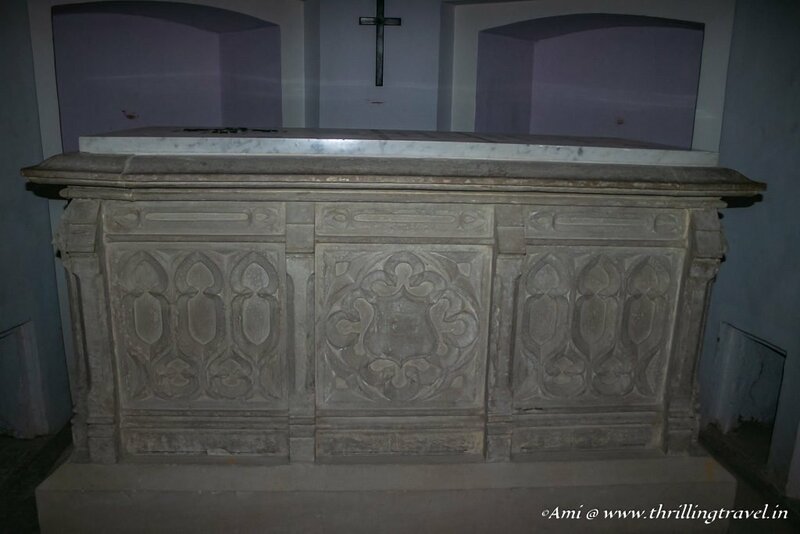 As per his wishes, his body was embalmed and kept in a grave as found here. The grave currently, has been restored. It was damaged by the soldiers who occupied the Constantia during the 1857 revolt. The grave that I saw was not very elaborate and as I understood, contains a double coffin with the remains of Major General Claude Martin. If the exteriors had made my jaws dropped, the interiors of the house – now a Chapel threw me off-balance. 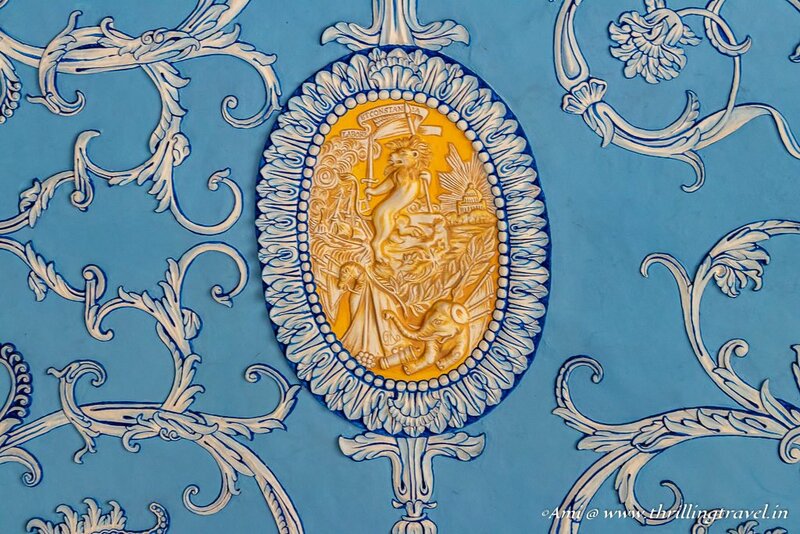 It was Vatican all over again – with those gorgeous walls and ceilings interspersed with Bas-Reliefs made with POP. The original material and designs for this came from France. Take a look at the gorgeous corners of this section! Every detail of those sculpted figurines was mind blowing. Add to that the play of colors in the stories etched on those stained glass windows. And then, there was that giant pipe organ. I could well imagine the La Martiniere Choir on a Christmas day! The lower levels of the mansion were used during the Summer months while the upper levels were designed for used during monsoons. Since the site was close to River Gomti, it faced frequent flooding and thus, the need for higher levels. However, since they were now not available for a visit, I exited the chapel to come to three unique things. The first was this huge bell that was cast by the founder of the house himself. The 2nd was a grand cannon called the Lord of Cornwallis and was cast again, by Claude Martin. 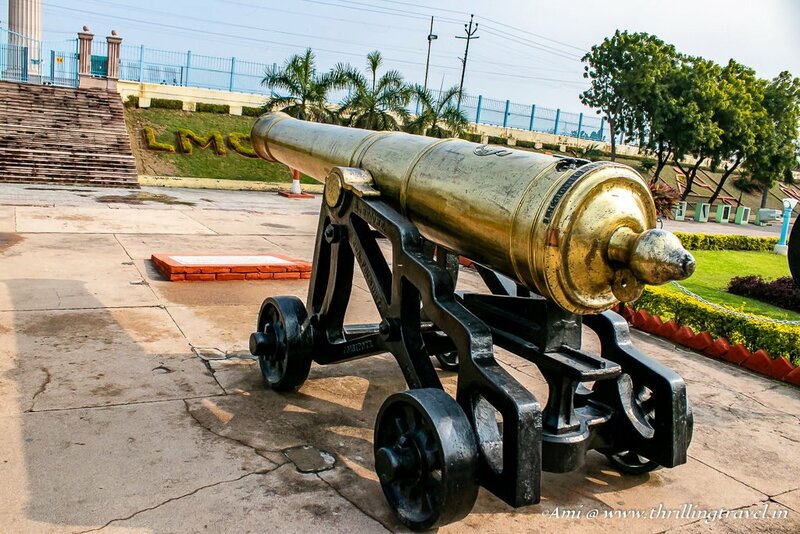 The cannon’s claim to fame was that it was lent to the British company for their war in Srirangapatnam against the famous Tipu Sultan. After the same, it was returned to its founder as a memorial. The last and the most prominent was this huge watch tower or Obelisk. Now here is the curious part – it was built after the death of Claude Martin. The original design given by him in his will was altered a bit to include some very intriguing features. The original purpose of the Lat was supposedly to be a memorial of the Constantia. Some say that it was to indicate the estate for those using the river as a means of approach. 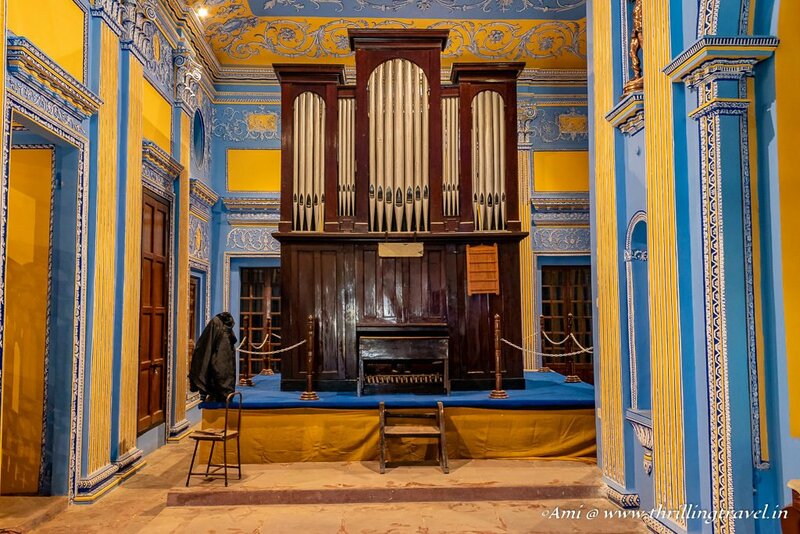 And on that mysterious note, I conclude this tour of La Martiniere. The rest of the structures in the campus were built after the mansion was turned into a school. The side wings in a semi circular structure contain dormitories and classrooms which on a normal working day are out-of-bounds for the visitors. Frankly, I am sure that would not matter to you for it is the Constantia that would be of major interest – isn’t it? 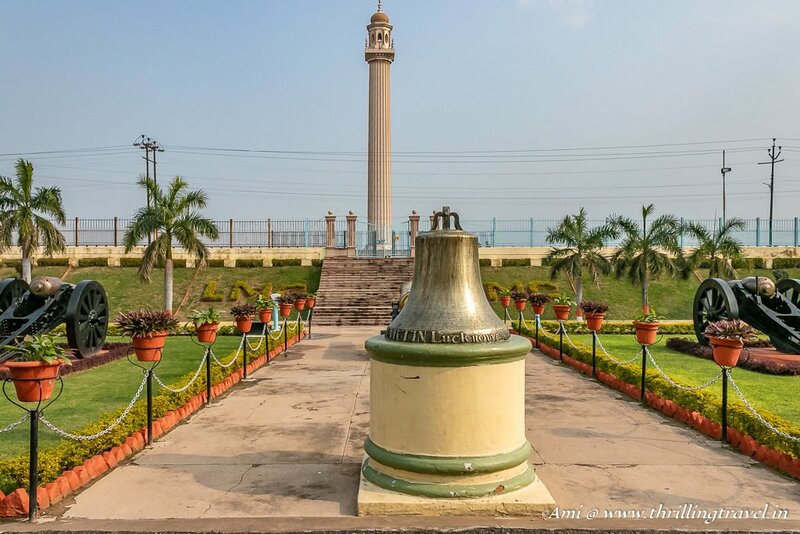 So, have you added this to your list of places to visit in Lucknow? Here is a pin to help you do so! Lucknow has good connectivity by air, rail and road. In fact, it has an international airport with plenty of flights to Lucknow from various cities across the world. 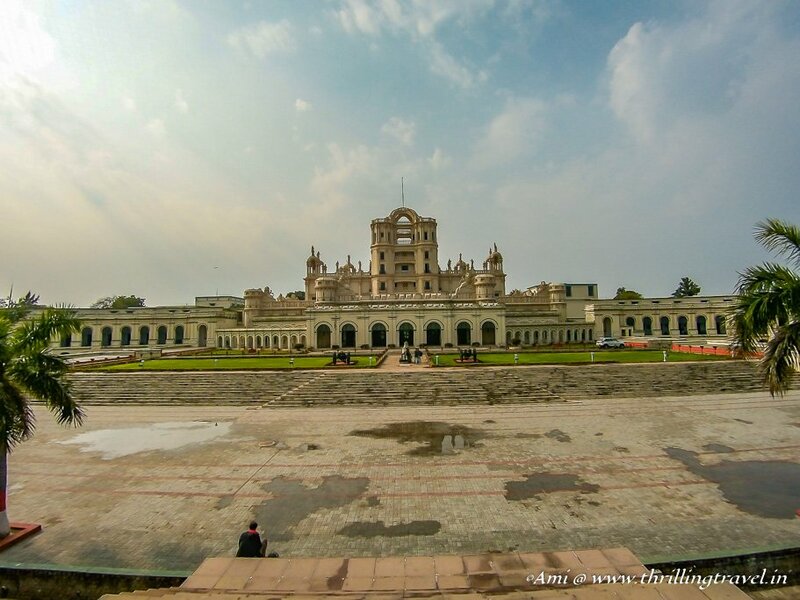 Once in Lucknow, you can hire an Uber or take a bus to La Martiniere College. 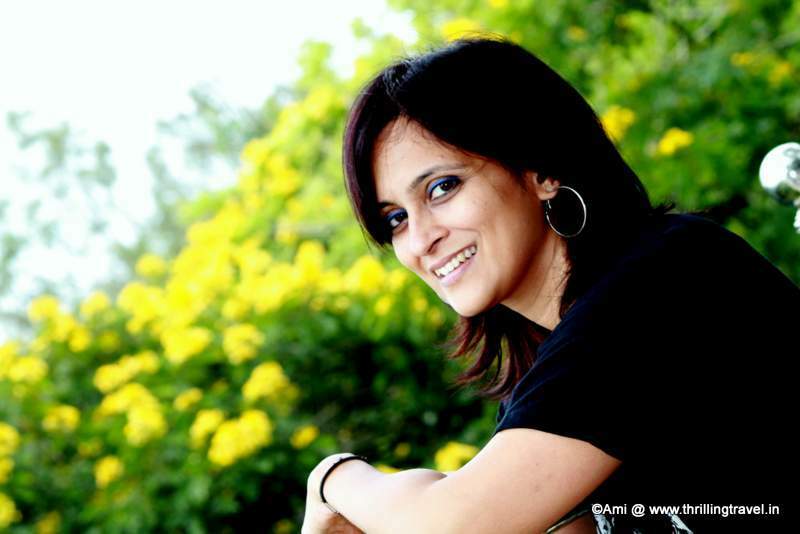 Click here to get it on your mobile map. Lucknow being a major city, offers you plenty of hotels and stay options in every possible budget. 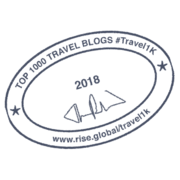 You can book a Lucknow hotel through any of the well known websites. In terms of area, I highly recommend staying in Gomtinagar as it is quite central to most places of interest in Lucknow. There is no entrance ticket to the La Martiniere College. You can visit it anytime between 9 am to 12:30 pm. 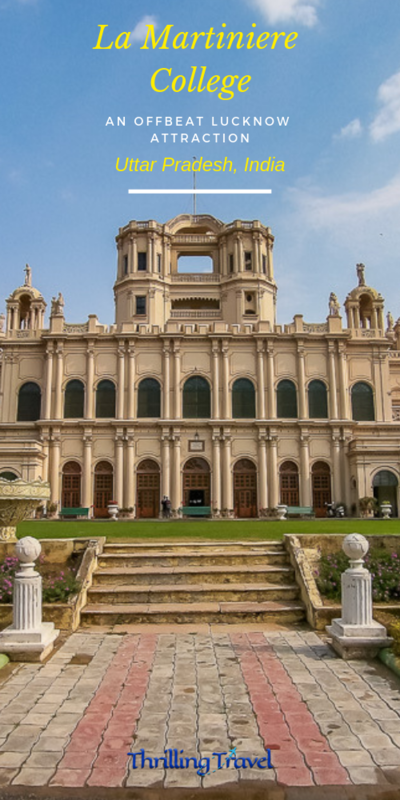 Please note that while you can always get there on your own, it is better to join a walking tour or a private tour to La Martiniere. This will give you a better insight to the place. The place is a functional school. Please be cognizant of the same and avoid disturbing the students and its faculty. Photography is permitted in the school. Great to read. 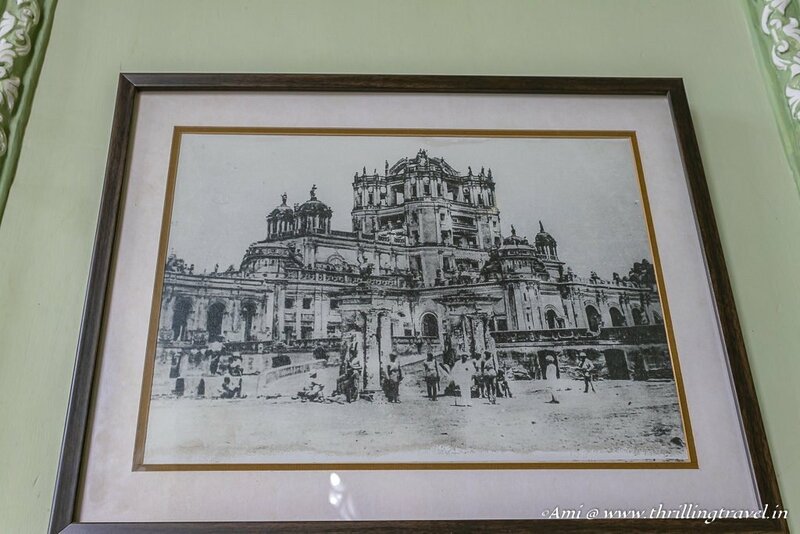 Very informative post on La Martiniere College. Amazing pics.